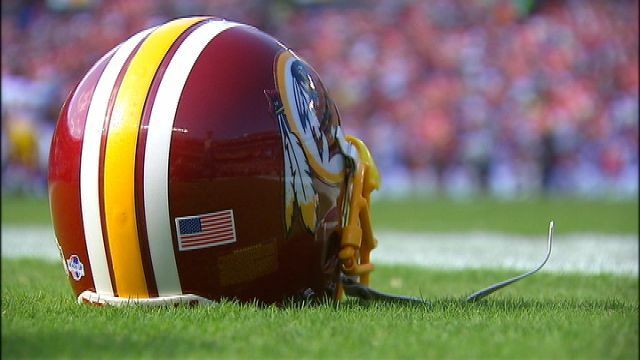 After two days of “legal tampering” the Washington Redskins are interested in several players heading into the start of NFL free agency, Tuesday at 4:00 pm. Below is a list of pending free-agents who have been confirmed as possible targets for the team. – Marcus Gilchrist, Cornerback San Diego Chargers – The Redskins inquired about 26 year-old San Diego Chargers safety Marcus Gilchrist. Gilchrist (5-10, 198 lbs) has started every game at strong safety for the Chargers over the last two seasons, he’s played a little corner as well. The Redskins currently only have three safeties on their roster, none of which have ever been an opening day starter. – Stephen Paea, Defensive Tackle, Chicago Bears – According to several reports, the Washington Redskins are “very interested” in Chicago Bears defensive tackle Stephen Paea. Paea (6-1, 300 lbs) is coming off his best season as a pro, the 26 year-old had six sacks and two forced fumbles while starting all 16 games for the first time in his four-year career. In his four years in Chicago Paea has 94 tackles, 12 sacks, 5 passes defended and 2 forced fumbles. – Dan Williams, Defensive Tackle, Arizona Cardinals – Dan Williams is a great run-stopping defensive tackle and fits the mold of the 3-4 nose tackle the Redskins have been looking for. Despite only playing 37% of snaps, Williams, 27, is one of the better two-down defensive tackles in the league. – Jermey Parnell, Right Tackle, Dallas Cowboys – Jermey Parnell, 28, emerged as a possibility when Doug Free and Derek Newton were re-signed by their teams rather quickly. Despite only starting 7 games in his career, Parnell wants to be paid near or more than $5 million a year. The contract Parnell wants looks to be outside of the Redskins spending area for a right tackle, they reportedly didn’t believe Newton was worth $5+ million a year. – Tyvon Branch, Strong Safety, Oakland Raiders – The Redskins brought the former Raider in on Friday, not much is known about the meeting except Branch, 28, left without a deal. Word has it the Colts are looking to replace Laron Landry with Branch. Branch has spent most of the last two season injured after flashing signs of promise his first couple of years in the league. – Taylor Mays, Safety, Cincinnati Bengals – Taylor Mays’ impact has largely come on special teams, as Pro Football Focus has him as only having played 61 snaps on defense in 2014 and less than 300 in each of the two seasons before that. Mays hasn’t lived up to the potential many thought he had when he was drafted by the San Francisco 49ers and then traded to the Bengals. The Vikings, Raiders, Rams, and Redskins are interested, but the Bengals have a strong interest in keeping Mays around as well. – Brandon Meriweather, Safety – The Redskins have remained connected with their former safety. Reports have stated that their continues to be mutual interest between the two…which could be a sign of the week market for safeties this year. – Brian Orakpo, Linebacker – The Redskins have remained in talks with Orakpo but the chances of a new deal are slim to none. Giants, Cowboys, Eagles, Falcons, Texans, Cardinals, Colts and the Redskins are reportedly interested in Orakpo. – Roy Helu, Runningback – The Redskins remain interested in Helu. Five teams including the New York Giants are interested in his services. The thought before “tampering period” started was that it was a 50-50 chance that the team would be able to hold onto the underrated halfback. – Kai Forbath, Kicker – Forbath was offered the $1,542,000 right of first refusal tender, per Overthecap.com. The 27-year-old is free to field offers from other teams until April 24, which is the deadline for signing an offer sheet. If he accepts an offer, the Redskins have five days to match it. – Niles Paul, Tight End – Signed three-year deal with the team.